When I began writing twenty (gulp--really?) years ago, I had a few things I wanted to do. The first, of course, was learn how to write. My belief is that many people have no idea just how hard it is to get the story in your head on to the page so that it at least resembles what you want it to be. The learning curve is long and steep. With ebooks finally taking off, readers may soon discover this for themselves as they begin to find work that is not rewritten or edited. Unrefined writing can be pretty ugly. You will have to search hard for the gems--but they will be there. A person can write for all sorts of reasons. There is nothing wrong with writing for one's self or for friends and family. That's why I have never been one to look down my nose at self-published work. It could be someone's dream just to see their name in print or leave something behind of themselves. Who am I to judge their dream and dismiss it? But I had a few goals from the minute I attempted my first story. I wanted to first see if I could finish something. That's why the initial course I took was a short story class. I finished, by golly, and it was truly dreadful. The nice thing about the learning curve is, however, that you do not know just how bad you are. I finished and I was oblivious. That was the day I became a writer. Only later would I learn exactly how difficult writing a good short story is, but I finished more and more of them. I thought they were wonderful. 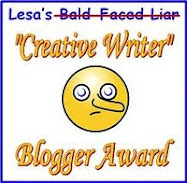 I submitted to Redbook and Woman's Day--do you recall they used to publish short stories? And was rejected over and over. Today, I cringe at the thought of what those editors thought, the ones who had the misfortune to read any of those stories. I pressed on, though. Still oblivious. Once I determined that yes, this writing thing was for me, that I loved it, I set a few more goals. Get a few stories published. Write a mystery. Hone my craft. Get an agent. Get the novel published by a major publisher. Make sure the book is available in audio so everyone can "read" it. Be nominated for awards. I have accomplished all of those things, but the awards were won long ago in contests for unpublished writers. I was paid more for winning contests than for getting short stories published, by the way. But there is something special that came out of writing those shorts--one story was read by the woman who is now my editor. She wanted more from me--and she bought my first novel Pick Your Poison because of a 2500 word story. A goal still not met is to be nominated for a major writing award. It might not ever happen, but it's still on the list. That list also included making a bestseller list. I did that several times through the Independent Mystery Booksellers Association's list, even had a stint at number one for The Cat, The Quilt and The Corpse. The crown jewel, however, came this week when I made the NY Times bestseller list. Why is that important? I am not a narcissist. Far from it, I am insecure and never sure if what I have written is good enough. What it means is that my stories are reaching a bigger audience--that I can perhaps give to someone else what was given to me: the joy of a escaping into a book. Books saved me when I was a child--saved my sanity, made me strong and made me believe in dreams come true and happy endings. For all of you who have bought, read and enjoyed by books, I cannot thank you enough. It's wonderful to see a good writer succeed! Congratulations on the NYT list--that's huge! I'm so glad you got this recognition, Leann. It's awsome that you're reaching so many readers. I imagine that social media sites, like Facebook, probably help authors like yourself reach new readers. 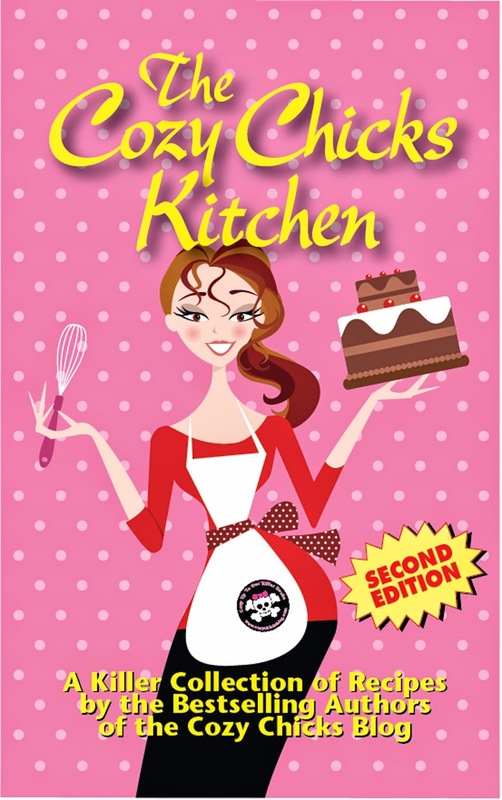 I had not heard of you, Ellery, Lorna or the other "chicks" until I read one of Heather's Lucy V books. 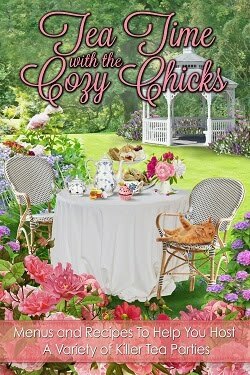 Then I found her on FB, went to the Cozy Chicks site, found info on your books, and was totally hooked. I then recommended your books to my friends, who then became fans, etc. So, while sometimes technology can be a pain, it can also be an awsome tool. Looking forward to reading your books for many years to come. Hurray for your appearance on the NYT list! Hurray for reaching so many goals! Hurray for writing so many great books for us to enjoy! Congratulations. Your success is well deserved. Thanks for many hours of reading pleasure. Wonderful news! I can relate to what books meant to you as a child, and even now books save my sanity. Thanks everyone. Indeed, books STILL save my sanity, too! Leann, I am proud of the trail you have taken. You should be proud of the things you have fought thru and won over. Hugs sent your way for your NYT accomplishment! Just keep the books coming and I'll keep buying them to read. Really do love the series. Thanks Rita. What I have learned in the last decade is that I have been a fighter all my life. Like heroines. Just never knew that until I got sick and kept on writing. Writing teaches so much. Wow! Big Congrats to you for making THE LIST. That is awesome. Great job. Keep writing your wonderful stories for us readers who love them. Thanks so much Linda. That's why I write!